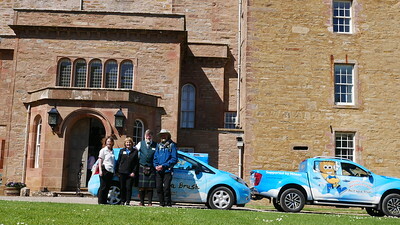 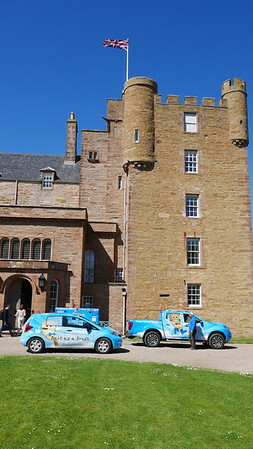 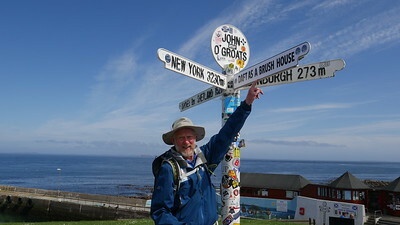 Arrival in John O'Groats - A major milestone! 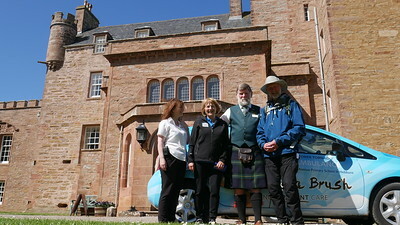 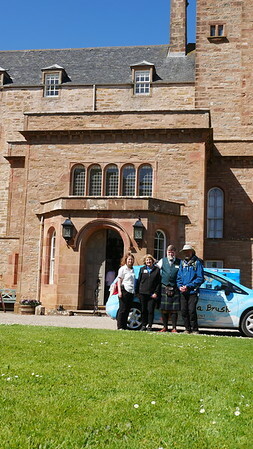 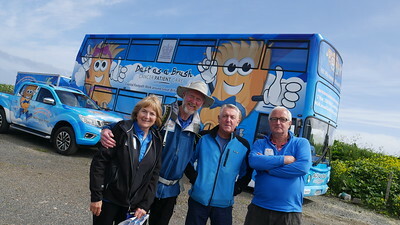 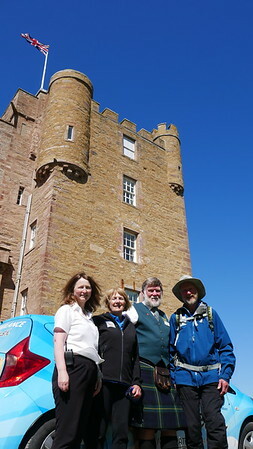 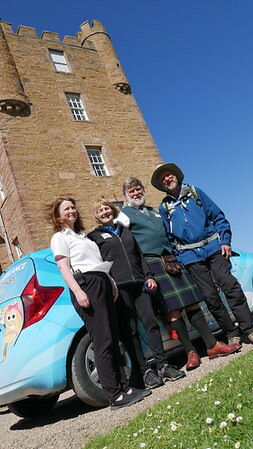 RIght to Left: Cheryl FInlay, Brian Burnie, Tommy Watson and Peter Mitchell. 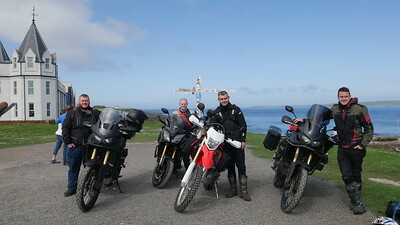 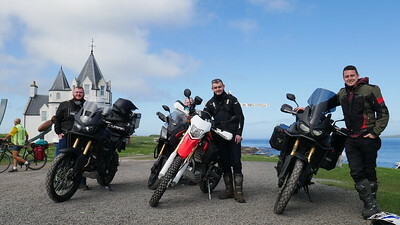 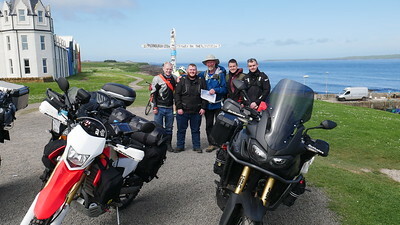 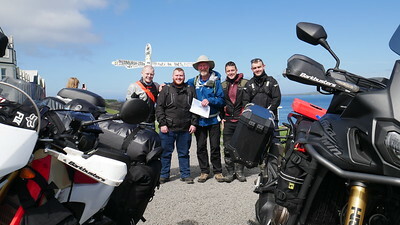 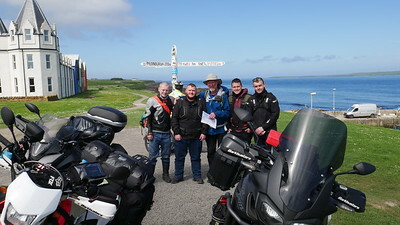 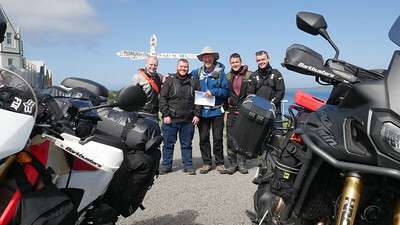 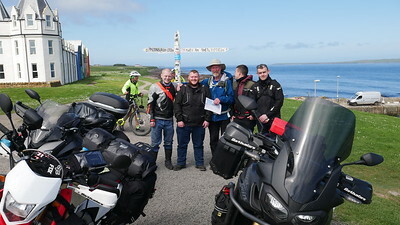 Bikers from Dover meet brian on his arirval in John o'Groats. 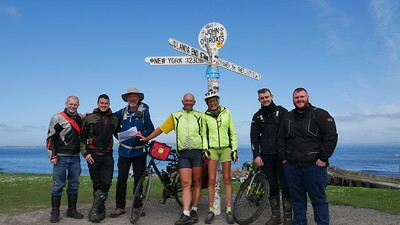 Joined by cyclists too! 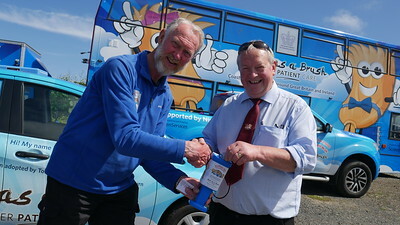 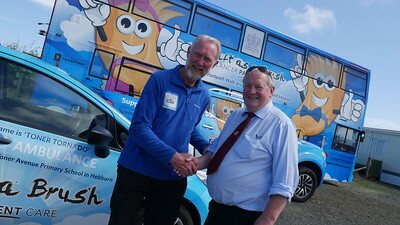 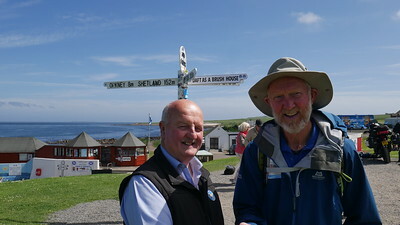 Brian met by Island Councillor for Wick and East Caithness, Willie MacKay. 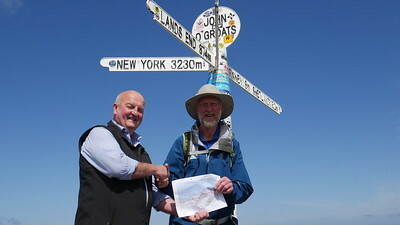 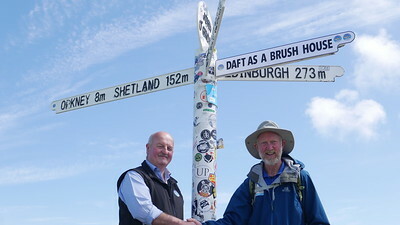 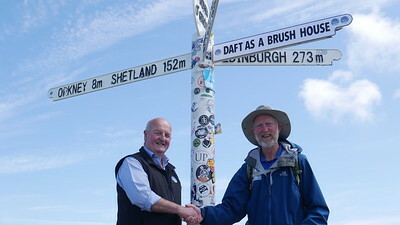 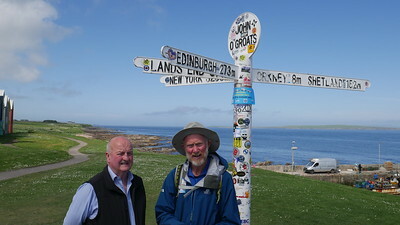 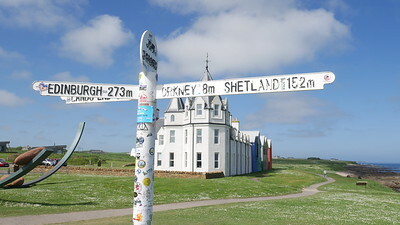 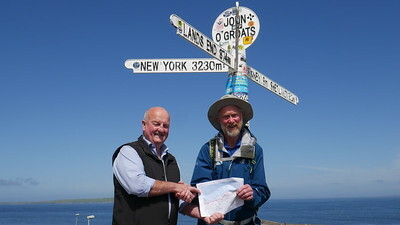 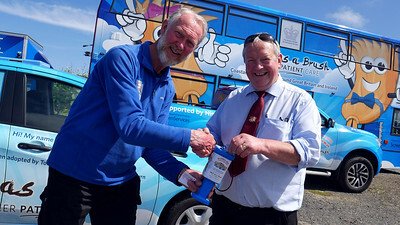 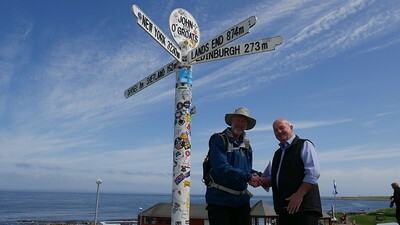 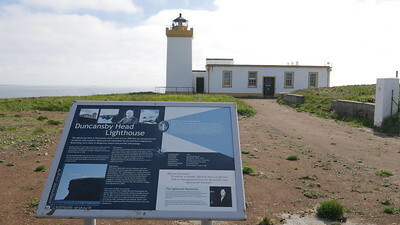 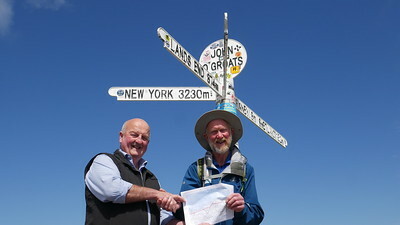 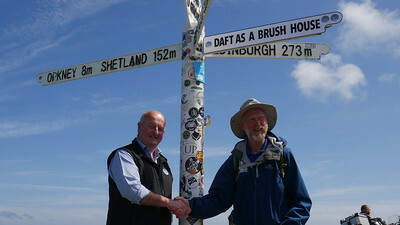 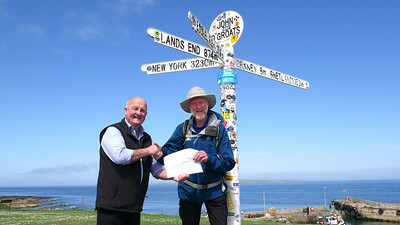 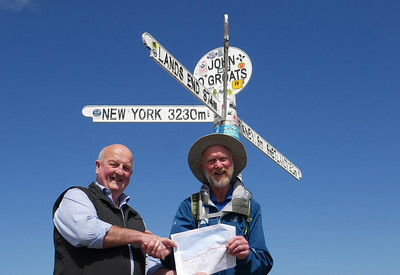 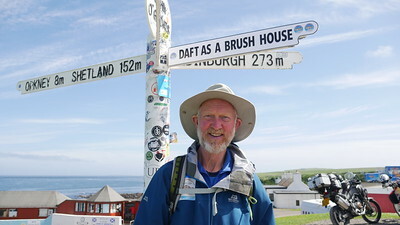 Brian Burnie met by Island Councillor for Wick and East Caithness, Willie MacKay at John o'Groats iconic signpost. 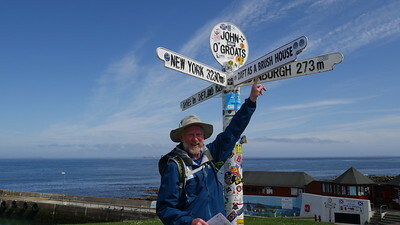 Brian at John O'Groats Signpost with special edition. 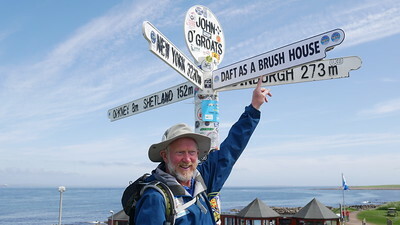 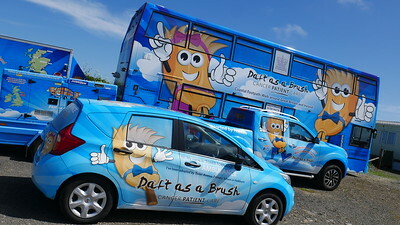 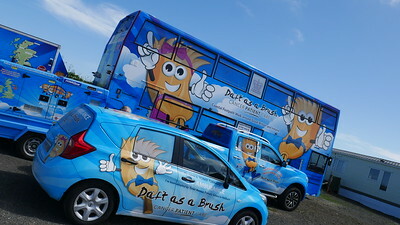 Just for fun, the signpost reads "Daft as a Brush House". 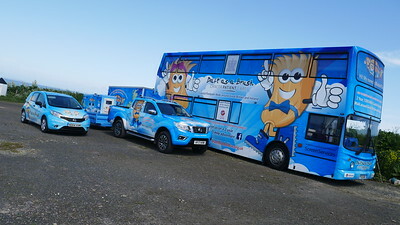 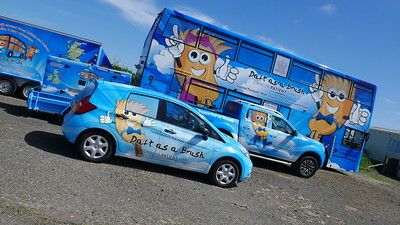 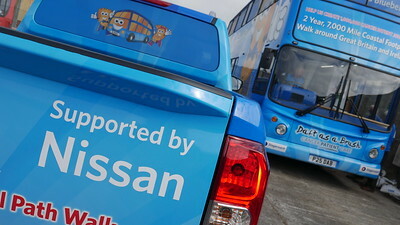 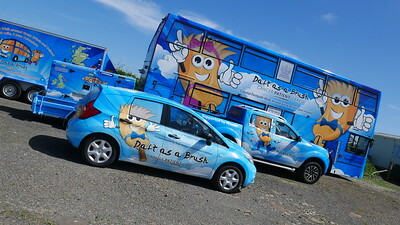 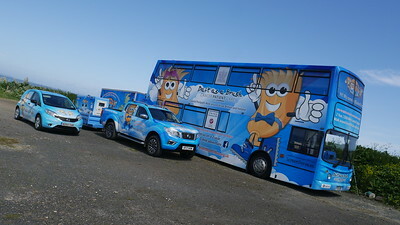 Micro Bluebell, Baby Bluebell and Bluebell Bus all together!